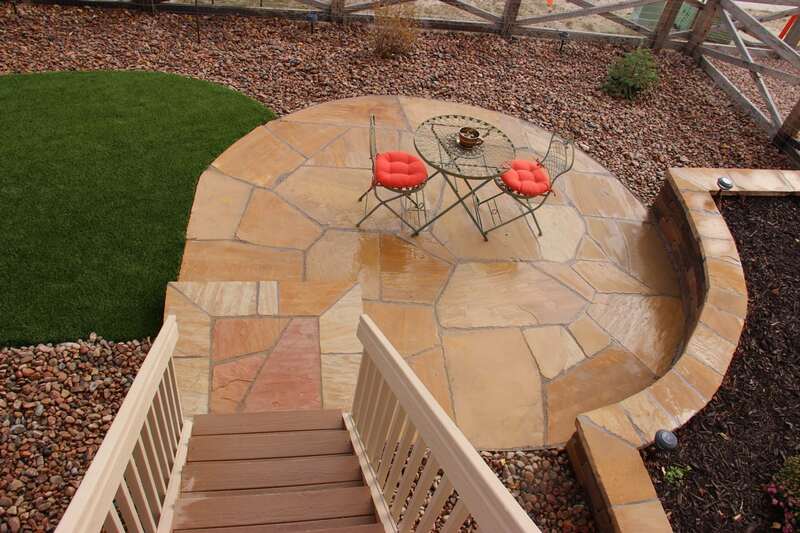 Welcoming walkways and custom patio spaces add beauty, functionality, and safety to your yard or garden. 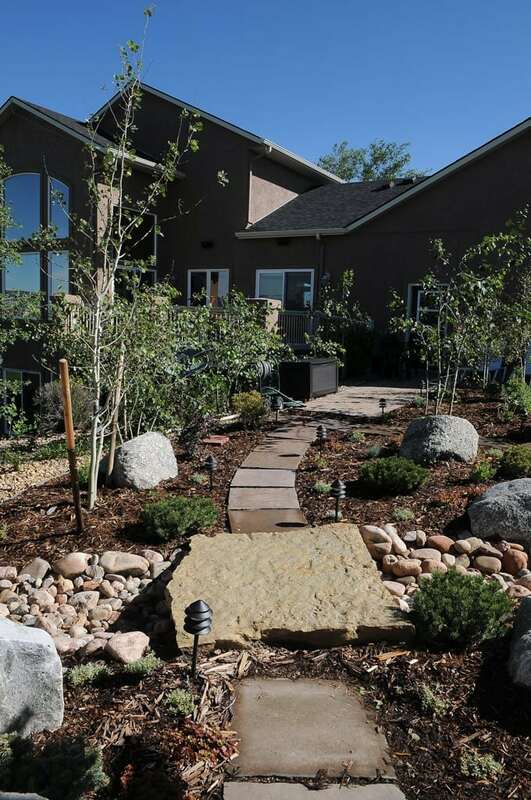 Enjoy a morning stroll down a winding pathway to smell the latest blossoms. 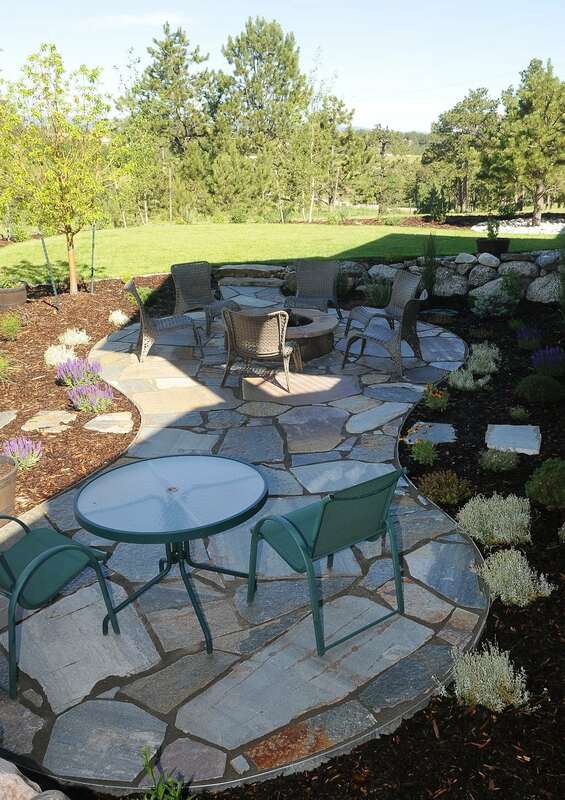 Relax in the cool of the evening, on a beautiful patio, for a perfect end to the day! 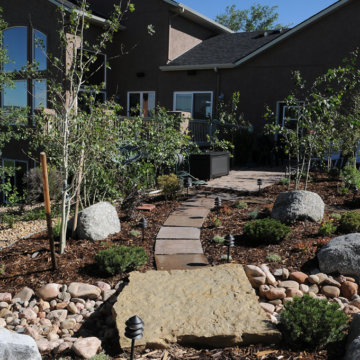 Open up garden access with walkways, pathways, and patios that create outdoor living spaces and get you closer to nature. 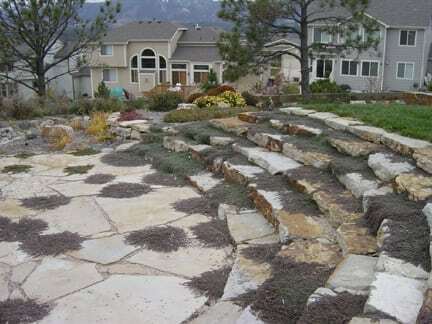 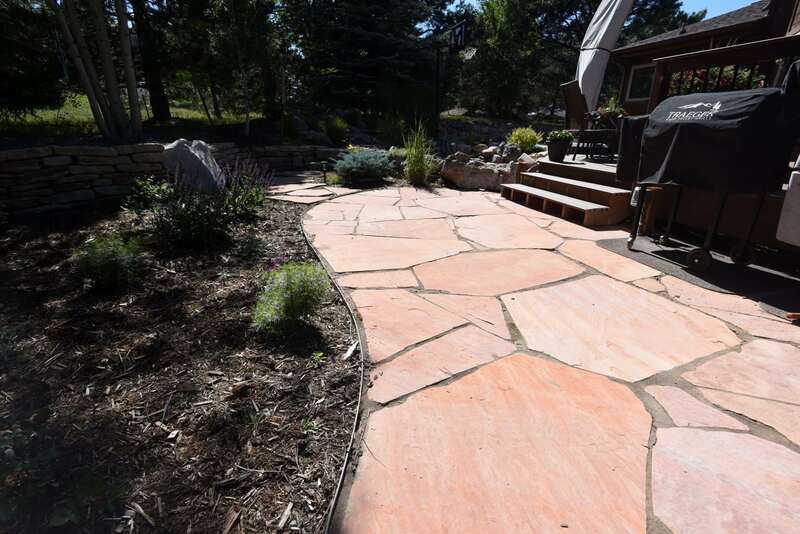 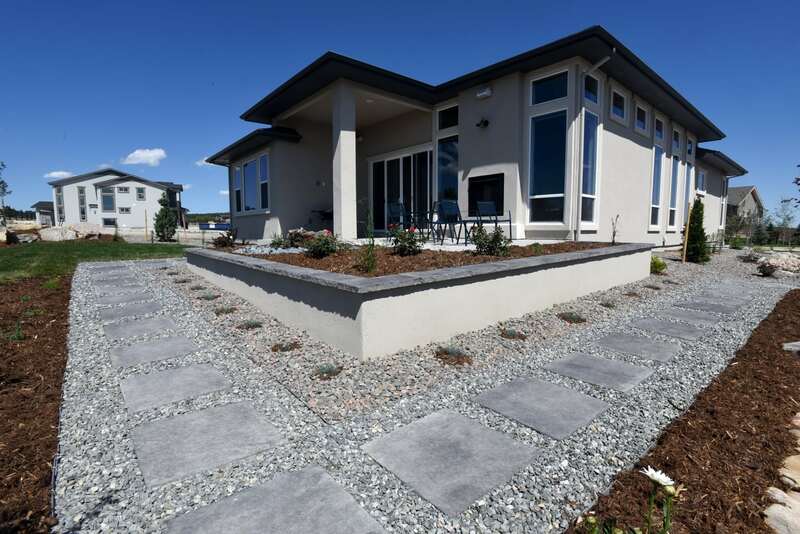 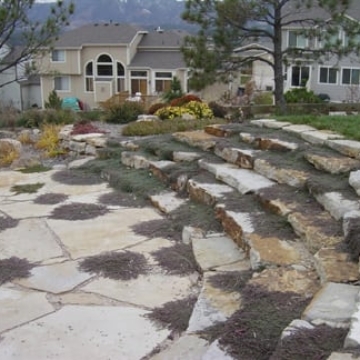 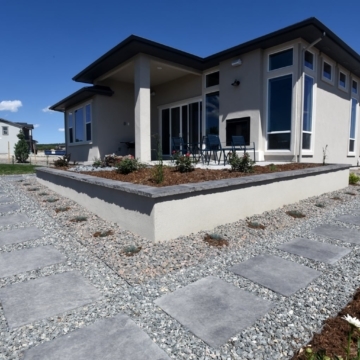 From natural flagstone to Rumblestone building blocks, the styles of walkways and patios for your Colorado Springs home are almost limitless! 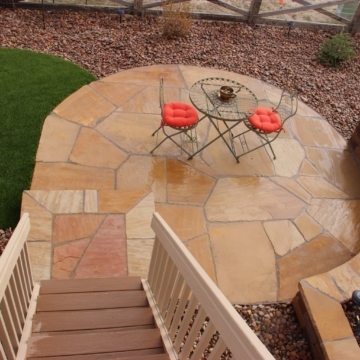 Our designs offer a maintenance-free change to otherwise often unusable space. 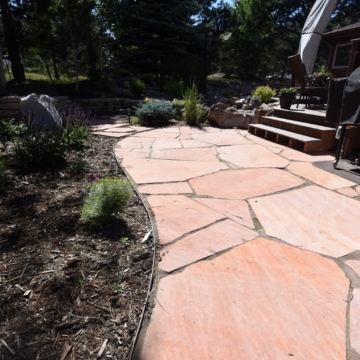 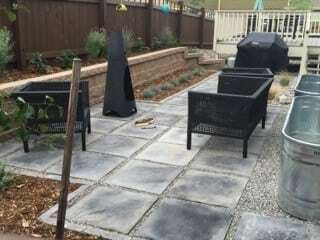 Your new patio and walkways are designed using cutting-edge techniques and classic materials. 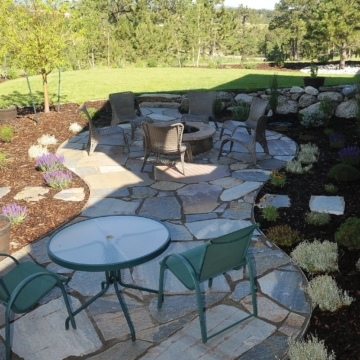 Patios also provide a foundation for a fire feature, seating areas, verandas, and more! 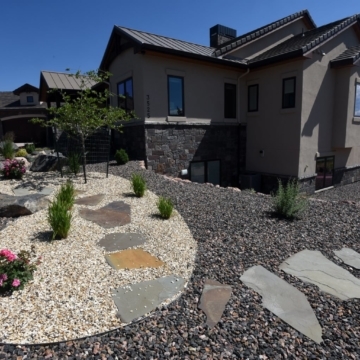 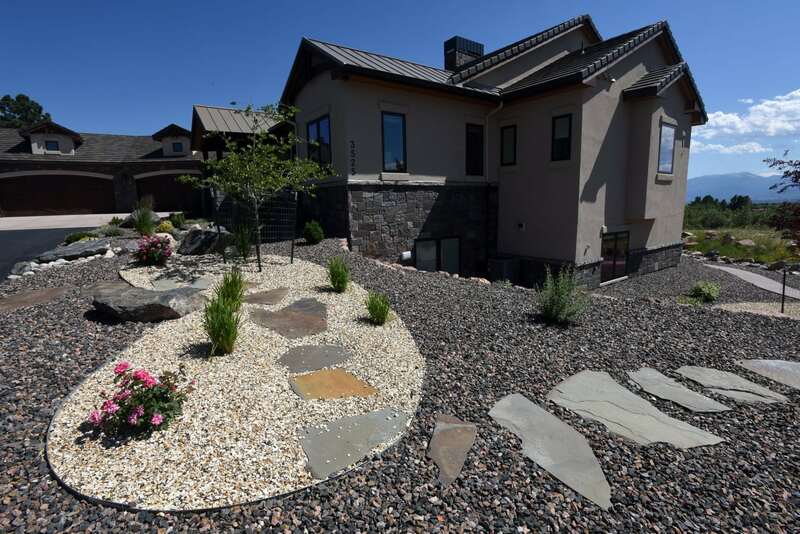 Jake’s Designs are experts in creating the most beautiful Colorado Springs patio designs and inviting walkways to residents throughout the area! 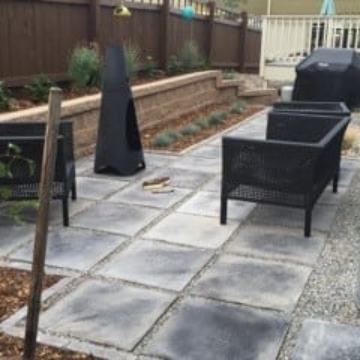 Since 2000, our expert team has worked with homeowners to design perfect outdoor spaces that make a gardens come to life and increase the value and interest of your home.